At Def Con 26, researchers revealed pwnage via fax. Hackers need only a fax number to infiltrate networks and exfiltrate data. 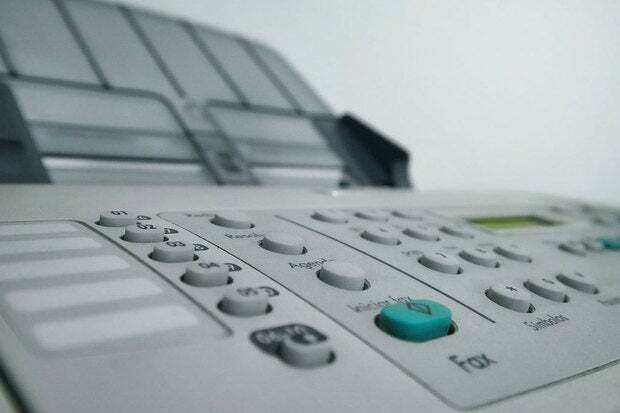 That all-in-one printer of yours may have fax capabilities that attackers could exploit by sending maliciously crafted image data via fax in order to take control of the printer, penetrate your network, and exfiltrate files. That’s what Check Point researchers Yaniv Balmas and Eyal Itkin warned attendees at Def Con 26. The researchers were able to “faxploit” an HP Officejet Pro 6830 all-in-one printer. As you may recall, HP recently released firmware updates and advised users to patch ASAP. If you haven’t patched yet, you might want to get on that, as no one wants to admit to being pwned via antiquated fax. As for that pwnage, the researchers “strongly believe that similar vulnerabilities apply to other fax vendors, too, as this research concerns the fax communication protocols in general.” Even the popular online fax service fax2email uses the same protocol and may be vulnerable. Armed with a fax number, an attacker could send a malware-coded image file to the target. The fax machine portion of an all-in-one printer would then decode the image file and upload it to memory. An attacker could then spread their malicious payload to the network, which is accessible to the printer. To our knowledge, we now had the first (publicly documented) printer capable of using Eternal Blue and Double Pulsar to autonomously spread an attacker’s payload over a computer network.